Nick started his aviation career in the Air Movements branch of the Royal Air Force in 1986 and commenced a career in civil aviation in 1992. After a number of management positions with airline ground handling agents, Nick joined TNT Aviation Services in the charter sales department in 1994 where his aircraft charter experience commenced. Wanting to create a new aviation company to provide aircraft charter services, Nick launched Weston Air International in 1995. During his aircraft charter career, Nick noticed that there were a number of UK regional airports that did not have an FBO ground handling service and then in response to this, created in 2001 the wider company Weston Aviation that grew to incorporate five new Business Aviation Centres in the UK and Ireland at Newquay Cornwall Airport, Durham Tees Valley Airport, Humberside Airport, Doncaster Sheffield Airport and Cork Airport. 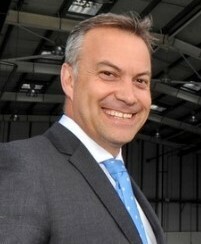 During his 30 year military and civil career, Nick has gained extensive experience in aircraft charter sales and leasing, executive and VIP ground handling, airline handling and airport operations and the movement of class one dangerous goods by air and the associated diplomatic clearance processes this specialist service requires. Nick has been a member of BACA since 1996 and joined the Council in 2016.